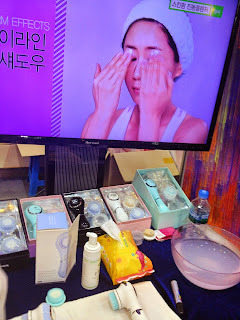 When I attended the Cosmo Beauty Expo I was able to pick up a few products that I wanted to test out and review. I’ve heard great things about motion scrubbing brushes (you know the expensive one I’m talking about!) but at over $150 (closer to $200-250 in Asia) I was on the fence about these types of systems. 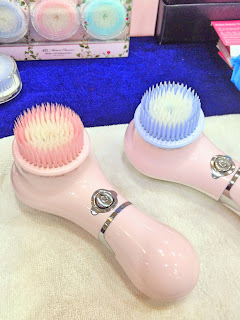 As I was scouring the expo I stopped to watch a demo and it was on this type of brush. At first I wasn’t sure, but the gals were so helpful in explaining things to me I thought I’d give it a try. 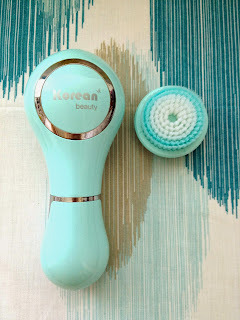 The product is very simple with one button (on/off) and an easy to attach brush head. 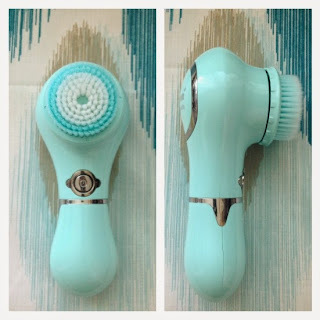 It boasts 4-D “smart cleansing” with 15 degree left-right rotating brush and up-down vibration. 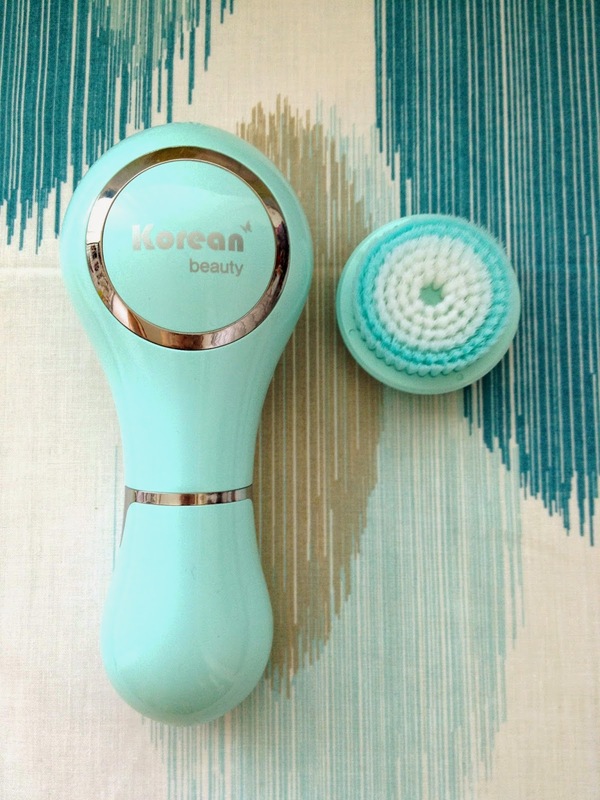 Together they provide a deep cleansing to your skin and pores. I found the bristles to be super soft and not at all irritating. I suffer from terribly dry skin so I love that this exfoliates well. I’ve been using it for about a month now and I’m hooked! It cleans up easily and the head pops on and off without feeling flimsy. There are a couple downfalls that I hope could get worked out with newer models. The device doesn’t seem quite as powerful as others cleansing systems. I would like to see two speeds/powers and a timer to know how long I’ve been cleaning. Also, because it’s not super powerful the batteries needs to be changed when you feel the power weakening. I’d love a rechargeable device to save on wasting batteries. Overall for the price point (about $50 for the device, $10 for replacement heads) I’d give this a try. They also offer the foundation puff head for makeup application which I am loving. Check out my Instagram for more photos with the puff. By having multiple heads for different purposes, I think it’s a nice alternative to the more expensive devices. This device can be purchased at your local Olive Young in Korea or on Gmarket.com for international shipping, although colors may vary.